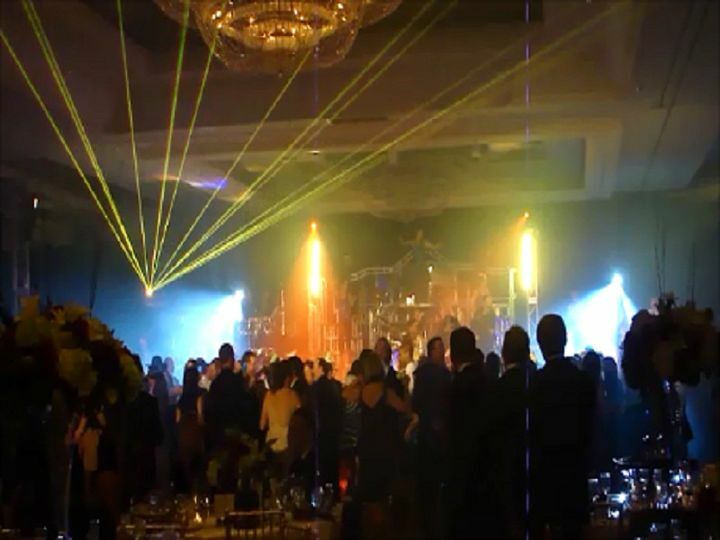 Artistic Laser Productions can help create magical atmospheres for every type of event from wedding receptions and private birthday parties and dances to corporate parties and events. Dancing colored beams that bounce back and forth across the room blend with aerials and animated graphics to set whatever mood you desire. 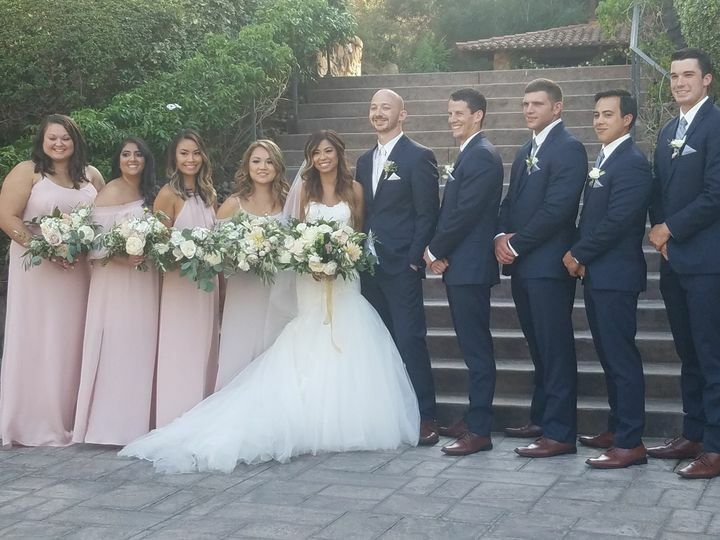 The staff at ALP will work with you to create the perfect atmosphere for your wedding reception. Ask about our custom graphic for your grand entrance. Haute Chili, one of the nation&apos;s top dance bands. On board the USS Midway. 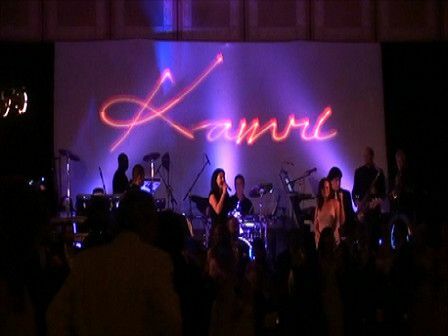 I have used Artistic Laser Productions for several events and they never disappoint. 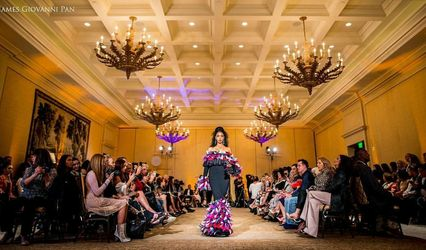 As an event planner based in Malibu, I have very discerning clients and need to come up with new and innovative ideas to keep ahead of the game. 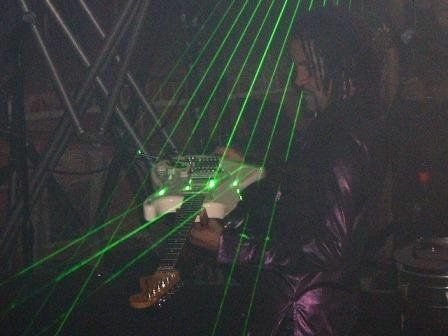 Paula and Marc are a pleasure to work with and always go above and beyond to ensure my clients are thrilled with the laser show. 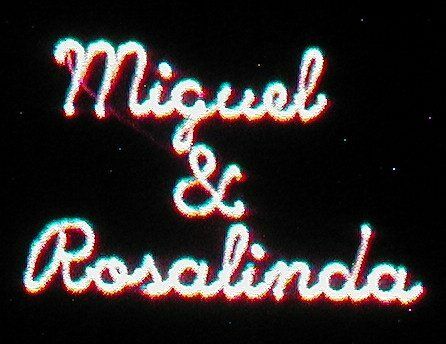 They always work with me to include my events' themes in the laser projections and their professionalism makes my job so much easier. 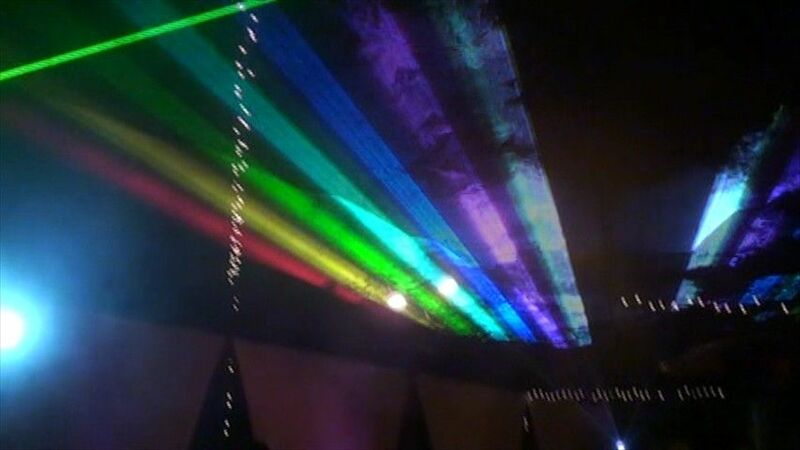 I highly recommend you checking out Artistic Laser Productions for any of your special events. Well if this is not one creative company, I do not know who would be! 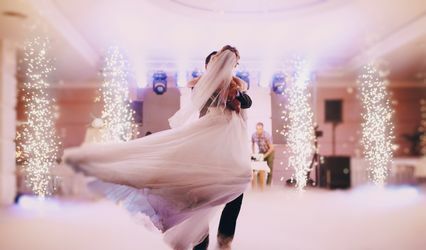 I have seen their work and if you are looking to add something unique and special to your special day seek no further. Paula is a sweetheart. Passionate about her company, their reputation and great ideas. Excited to bring them on for our events. 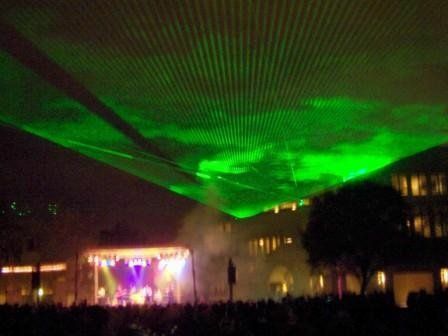 Artistic Laser Production has been known to produce the impossible and create the unobtainable. Pros for sure.